When I realized the school shimmering ahead had spotted me, I swam faster. Fish are quick and I was sure they’d be gone in a flash. Instead, in a surprising shiver of orange and silver, the fish turned and swam toward me. Suddenly, I was surrounded, feeling as if I’d changed species. Moments like these happen only when generations of wildlife are protected from the ravages of fishing and hunting – and only in places like the Galapagos Islands, the first area ever listed in the precious and remarkable collection of UNESCO World Heritage sites. From the ancient pyramids of Egypt to Australia’s Great Barrier Reef, UNESCO World Heritage sites are the wonders of the world, created either by the hand of man or by Nature herself. All are protected and preserved, regardless of their location or the politics of the country in which they’re found. The first twelve sites on the UNESCO list were in Canada, Ecuador, Germany, Poland, Senegal, Ethiopia and the United States. Today, the list has grown to more than a thousand around the world, and carefully selected sites are added each year. In this three part series we will explore some of the sites created by man, by nature and some in our very own backyard, Canada. Whether you choose to visit these sites, your experience will overwhelm you with a sense of gratitude that these wonders of the world are being protected for us and for those who will follow. L’Anse aux Meadows National Historic Site, the remote northern Newfoundland winter home of Leif Erikson and his Vikings was among the first ten sites on the UNESCO World Heritage list. Since then, Canada’s Nahanni National Park, through which the famed Nahanni River flows; Dinosaur Provincial Park, where some of the world’s most important fossils have been excavated; and Wood Buffalo National Park, the world’s second largest national park, have all been added to the list. Gros Morne National Park, filled with stunning cliffs, tablelands and waterfalls is another of the Canadian wonders on the UNESCO lineup as are the Canadian Rocky Mountain Parks which include four national parks: Banff, Jasper, Kootenay and Yoho and three provincial parks: Hamber Provincial Park, Mount Assiniboine Provincial Park and Mount Robson Provincial Park. 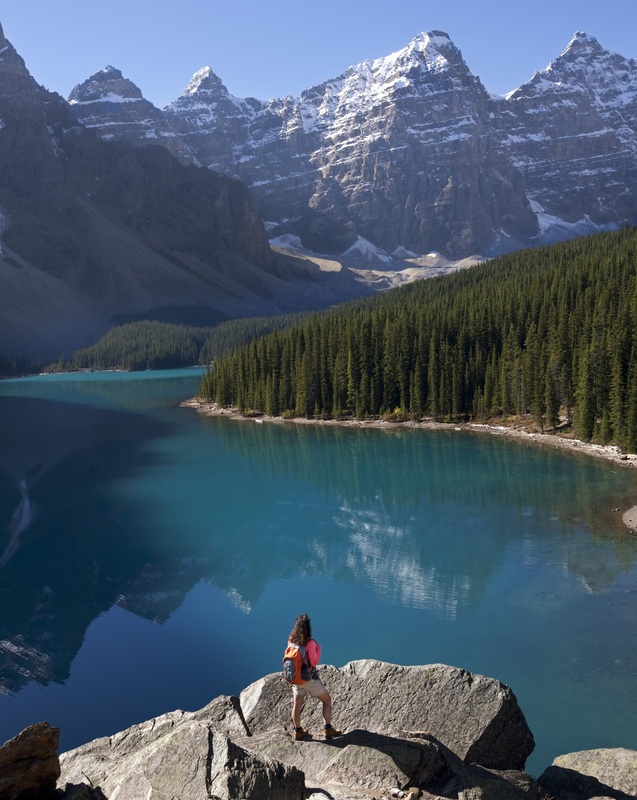 These western Canadian parks are home to the headwaters of several major North American river systems and to stunning mountains, glaciers, and hot springs. The Historic District of Old Québec City, another of Canada’s representatives on the UNESCO list, was first chosen by Samuel de Champlain as the site of Fort St. Louis in 1608. It remains a stunning example of original Quebecois architecture, and retains the only original city walls north of Mexico City. Built more than 250 years ago, Old Town Lunenburg, is part of the UNESCO list in recognition of the commitment the Nova Scotia town has to her original street plans, architecture and use of common spaces. 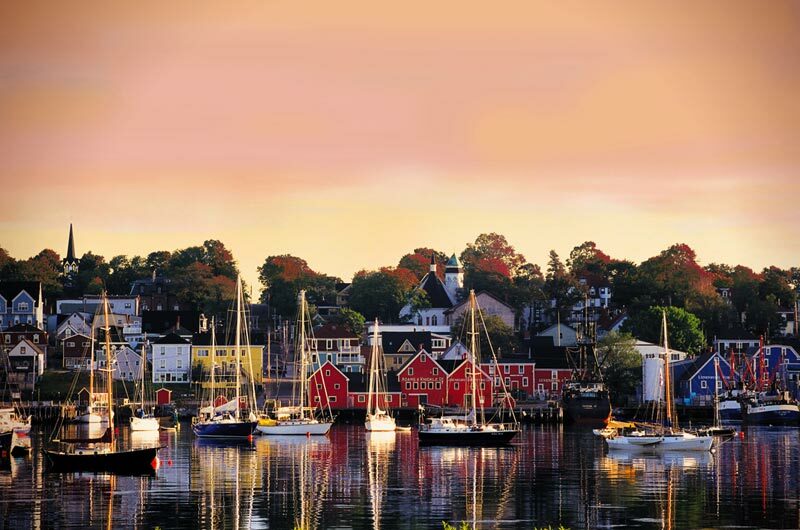 Recently named the Communities in Bloom’s “Most Beautiful Small Town in Canada”, Lunenburg is a must-see on any visit to the Maritimes. Click here for some of Nature's Creations. Written by Liz Fleming. Originally published in Cruise & Travel Lifestyles Winter/Spring 2018 issue.